This article is 296 days old. A four vehicle crash closed section of Highway 3 Wednesday morning. OPP say it happened around 8:40am between County Roads 27 and 29 in Kingsville. A truck travelling eastbound on Highway 3 rear ended another vehicle which was pushed into the oncoming lane and it was subsequently struck by a westbound vehicle. 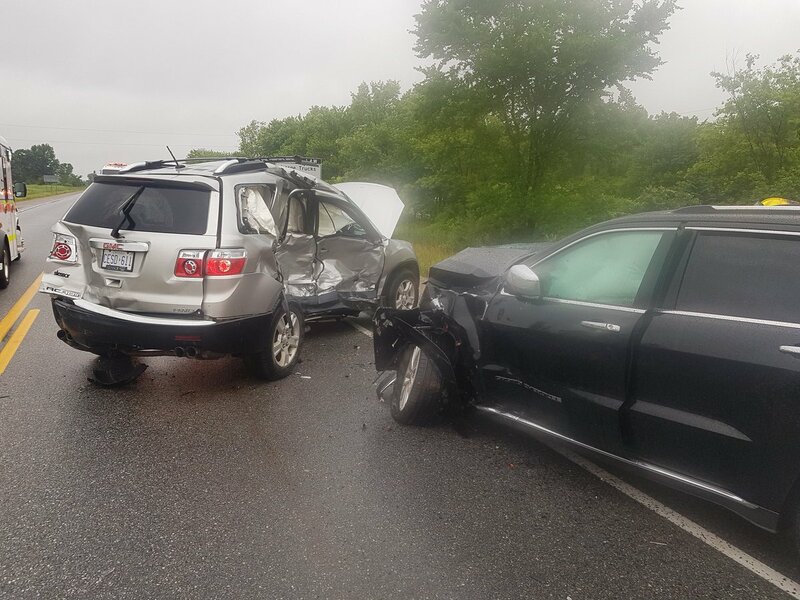 The original vehicle proceeded eastbound and rear ended another vehicle before leaving the roadway and coming to rest in a ditch. There were five people involved in the collision, and two are being treated for non-life threatening injuries at an area hospital. The others suffered minor injuries or were not injured. Highway 3 was closed for approximately 90 minutes to complete the investigation and remove the damaged vehicles.